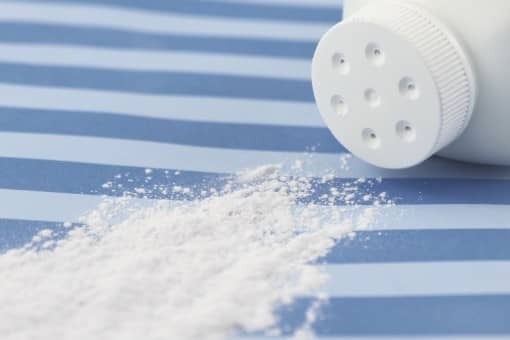 After a trial that lasted from January 30 to April 5, 2018, a New Jersey State Court jury ordered Johnson & Johnson and its talcum powder supplier, Imerys Talc America, Inc., to pay $37 million in compensatory damages after deciding that the talcum powder included in its baby powder contained asbestos and caused the plaintiffs Stephen Lanzo III and his wife Kendra to contract mesothelioma, a deadly form of cancer. Stephen was awarded $40 million and Kendra receives $7 million of the compensatory damages. Johnson & Johnson is responsible for 70 percent of the damages and Imerys Talc America is responsible for 30 percent. The trial re-opens on Tuesday, April 10 to determine punitive damages, according to the Courtroom View Network online broadcast of the trial. This was the second trial concerning the question of whether the Johnson & Johnson product contained asbestos that can cause mesothelioma. In the first trial in Pasadena, California that ended in November of 2017, the jury in a 9-3 vote absolved Johnson & Johnson and Imerys Talc America of negligence. In the New Jersey trial, the jury agreed with the plaintiffs after they claimed they had been exposed to the toxic mineral in the Baby Powder since the 1970s and that was the substantial reason why they contracted Mesothelioma. In the closing arguments, Johnson & Johnson lawyers and the plaintiffs’ talcum powder lawyer clashed over the issue of Johnson & Johnson-performed tests. Johnson & Johnson attorney Mike Brock of Kirkland & Ellis LLP claimed that the Johnson & Johnson tests and tests performed by others on the talc did not find asbestos in either the company’s talc mines or in its products. The tests were performed on products taken from store shelves. Brock added that plaintiff attorneys might have evidence of other types of minerals in the talc, but no evidence that the minerals were asbestos. However, plaintiffs’ attorney Moshe Maimon of Levy Koniqsberg LLP countered in his summation that Johnson & Johnson’s talcum powder included asbestos for years, but the company hid the fact from consumers and regulators by using tests it knew could not detect asbestos. Based in New Brunswick, New Jersey, Johnson & Johnson is currently facing talc-related lawsuits from as many as 6,610 plaintiffs nationwide. Many of the cases are based on claims that the company failed to warn women of the risk of developing ovarian cancer due to use of the company’s talcum powder products for feminine hygiene. Five trials were held in Missouri that involved ovarian cancer lawsuits. Juries found that Johnson & Johnson were liable in four cases and awarded plaintiffs a total of $307 million. In California, a jury ordered that a now-deceased woman be awarded $417 million. However, in October of last year a Missouri appellate court rejected the first verdict for $72 million and a California judge previously tossed out a case. Johnson & Johnson has said that it is attempting to reverse the other verdicts. Talcum powder lawsuits involving asbestos have come only recently. Besides the New Jersey verdict, the only other asbestos-related trial took place in Los Angeles Superior Court and the jury ruled in favor of the defendants. The California case started on October 19 and ended on November 16 2017. In this case the attorney for Johnson & Johnson argued that the mesothelioma contracted by the plaintiff was due to other exposures such as therapeutic radiation treatments and clothing worn by her father, who was exposed to asbestos at his job. 12,000-15,000 Americans die due to exposure to asbestos per year. Between 1999 and 2013, Mesothelioma due to exposure to asbestos was listed as the cause of 39,870 deaths or about 2,848 deaths a year. If you have received a diagnosis of Mesothelioma or ovarian cancer, then first make certain that you are receiving the proper care. Gather as much information as possible about your condition and how you used the Johnson & Johnson product or products, and contact The Eichholz Law Firm at 855-551-1019 to schedule an appointment for a free consultation.